I’VE RUN OUT OF YARN! I don’t know what I was thinking. I’m easily 3 or 4 skeins short. I’m not even halfway through the first sleeve, and I’m completely out of yarn. UGH! So much for planning. Sigh. 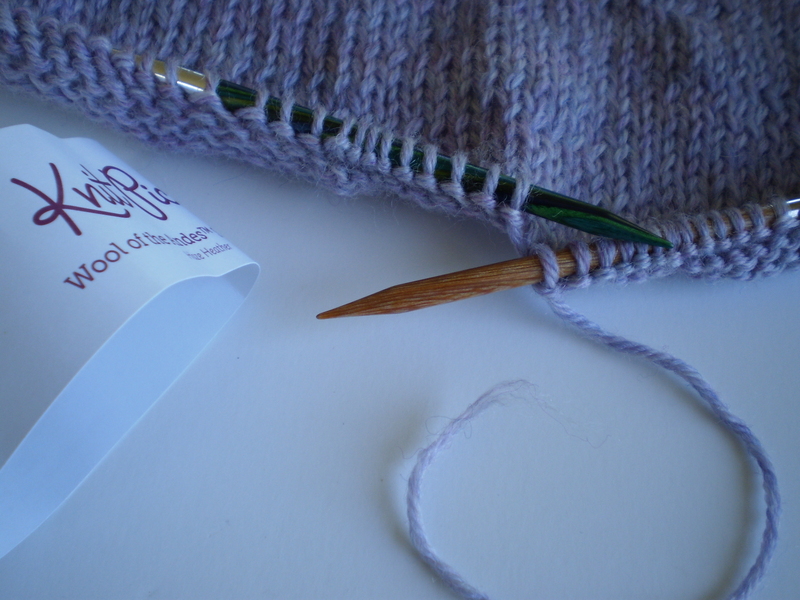 I’m off to the Knit Picks website to order some more and hope the dye lots aren’t too far off. Keep your fingers crossed for me! Have you ever seriously miscalculated on one of your projects? Ugh! This entry was posted in On My Needles and tagged cable sweater, knit picks, out of yarn, sweater, yarn on June 3, 2016 by onemilljellybeans. OMG – I feel your pain. Fingers crossed about the new yarn match – I guess you could go for a groovy contrast if it did not work out…? No worries! The dye lots will be fine! You will be the ONLY one who notices. Trust me on this. I’ve been there for sure! I now over-buy. Ridiculously so. I am a new knitter and fortunately, I have not run out of yarn for a project yet. But then, I haven’t FINISHED a project yet either! LOL Best wishes for your sweater. Try not to worry about the dye lots. That happens when I am trying to use something that I don’t have enough of, but not yet in a sweater. Fingers crossed I don’t ever run into that. But now I need to cross my toes for your dilemma! !